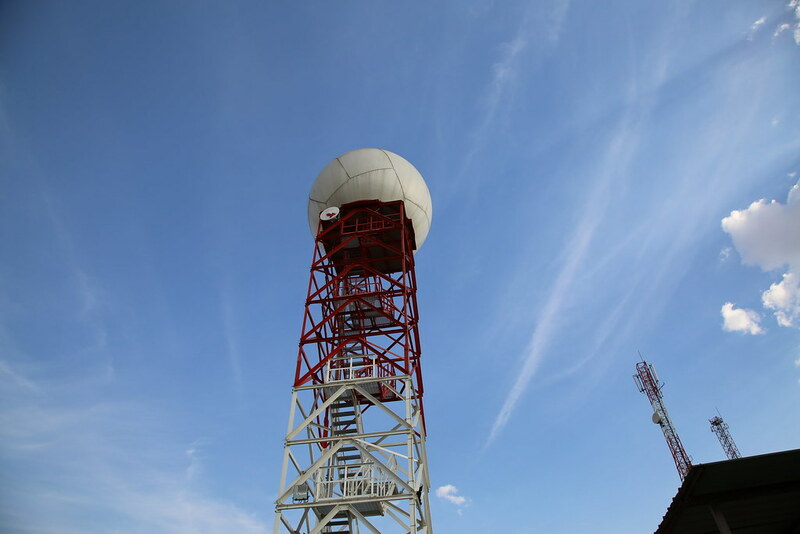 Radar engineers and operators from the Rwanda Meteorology Agency and Ministry of Defence are undertaking a training to maximise the use of the country's sophisticated Doppler Weather Radar system installed at Maranyundo Hill in Bugesera District. The training was conducted through the project ‘Strengthening Rwanda’s Weather and Climate Services to Support Development’, being implemented by Meteo Rwanda and funded by the Rwanda Green Fund (FONERWA) and will improve the ability of Meteo Rwanda to issue early warnings for extreme and dangerous weather events. The training kicked off with twelve engineers from Meteo Rwanda and the Ministry of Defence and will continue for six weeks. It will be followed by three additional weeks of training in radar product interpretation and one week of wind shear interpretation - to be offered at Kigali International Airport. The ten week training programme will conclude with three weeks of hands on experience where trainees put what they learned into practice. Officiating the opening ceremony of this training, John Ntaganda Semafara, Director General at Rwanda Meteorology Agency, urged trainees to maximise the opportunity and acquire all skills required for better management of the weather radar system. He encouraged them to learn how to best integrate data from existing meteorological infrastructure, such as automatic weather stations and satellite receivers, with radar data to provide early warning messages to people living in Rwanda and institutions who rely on accurate weather information. “We are counting on this radar system to better serve the new Bugesera Airport and Kigali International Airport. It is upon you to take this opportunity so that you can produce more useful information from data generated by the radar,” the Director General said. Francois Nsengiyumva, the Acting Division Manager of Technology and Information Support Services, said the training shall solve the issue of staff scarcity at the radar site by bringing on board newly recruited weather radar engineers and data interpreters. “This training shall enable our engineers to perform the necessary preventive and corrective maintenance and calibration of the radar system,” said Francois. The training is being offered by Advanced Radar Company (ARC), an American based supplier of the C250P Doppler weather radar system acquired by Meteo Rwanda in 2015. Kim Weaver, one of the instructors, said that much effort shall be spent teaching calibration techniques to ensure the radar data are of the highest quality. “The course will examine the overall design of the system and then discuss each subsystem. The emphasis will be on configuring, operating and maintaining the system,” said Kim Weaver. Frank Rusanganwa, Senior Meteorologist at Meteo Rwanda, said that the training shall enable him to enhance his forecasting skills to provide early warning information for disaster risk reduction and preparedness. Learn more about the fund's ‘Strengthening Rwanda’s Weather and Climate Services to Support Development’ investment here.